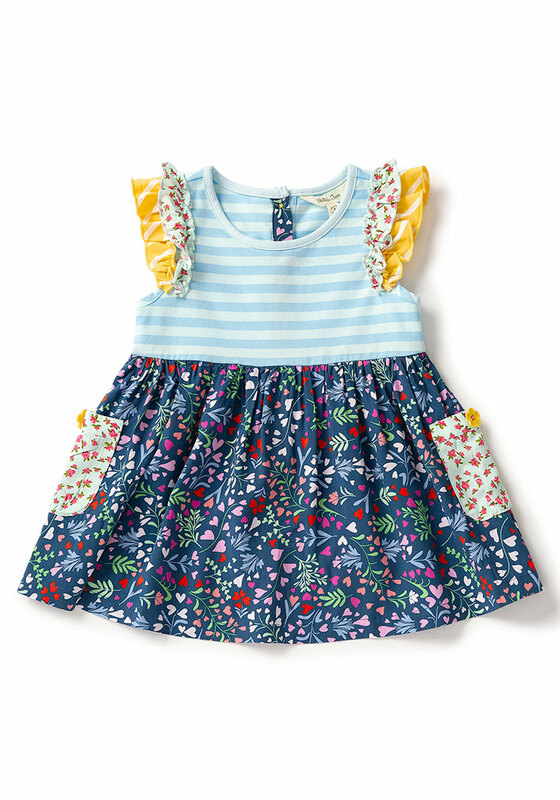 This fun, everyday top has a super sweet heart and leaf print created by Maggie. Extra cute details include the mix of buttons on the back, pop of floral print on the pockets – with flower buttons! – and fluttery sleeves!